It’s not been great for American Airlines or its staff recently but the airline hopes a new year and a new look livery and logo might just help bring it back on track. The airline unveiled it new logo and aircraft livery this week with their flagship Boeing 777-300ER ready to take to the air at the end of January. As the airline continues to take delivery of 550 new aircraft they hope that the modern new logo and airliners will help present an improved and up to date travel experience for its passengers. “Since placing our landmark aircraft order in July of 2011, we’ve been building anticipation toward a moment in time when the outside of our aircraft reflects the progress we’ve made to modernize our airline on the inside,” said Tom Horton, American’s Chairman and CEO. American Airlines is also focusing on its onboard experience with new services and features continually being roller out across its routes. 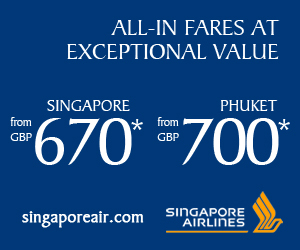 Many of these do seem to focus on the premium cabins which might be a sign of where the airline is really looking to increase its business and profit. 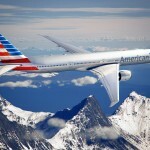 American Eagle and the AAdvantage® program will also be getting the make-over. 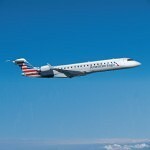 You will see the first American Eagle aircraft in the air with the new livery in early February.